Dental Crowns and Dental Bridges are dental restorations that have the aim of bringing back smiles by replacing the form and function of missing teeth, or teeth that have been badly decayed or damaged. A dental crown is a cap that is created to resemble the appearance of a natural tooth, and is used to cover and improve the appearance of a tooth which has been damaged by dental problems (such as tooth decay). 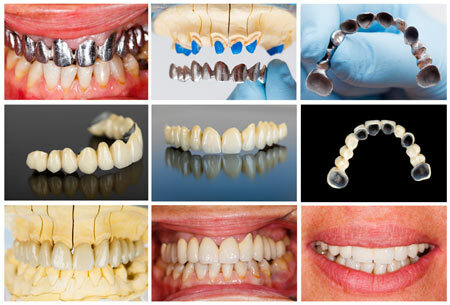 Dental bridges, on the other hand, are fixed dental prosthesis that are used to replace missing teeth. The dental bridge can be made to replace one or more missing teeth. The dental bridge is securely anchored to the natural (and healthy) teeth that are located on either side of the gap created by tooth loss. The gap is effectively bridged and made complete once again with the help of the dental bridge. 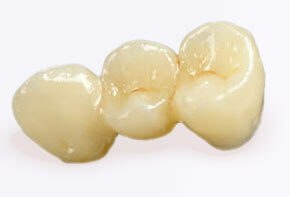 Why Have Dental Crowns or Dental Bridges? Dental crowns and dental bridges restore the form and function of a tooth (or several teeth) which have been damaged or badly decayed; these dental restorations can also address the problems which are caused by missing teeth. The crowns and bridges provide solutions not only to the aesthetic aspect of the smile – but can also bring about improvements that result to overall better oral health. Who Can Have Crowns and Bridges? 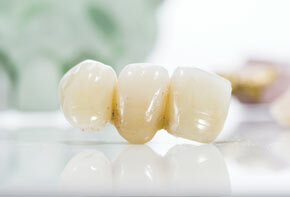 You can have a dental crown if you want to improve the appearance and function of a tooth that has been damaged or decayed; the crown will work by covering the entire affected tooth so that it can look and feel as healthy as when it was not yet damaged. 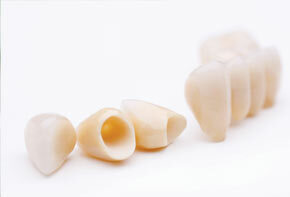 A dental crown can also be used with a dental implant to replace the form and function of a missing tooth. Dental bridges, on the other hand, are used to replace both the appearance and the function of several teeth (or one tooth) that have been lost due to various reasons. Crowns and bridges improve the appearance of your smile, as these dental restorations address the problems caused by damaged or decayed teeth; the dental crown or dental bridge will also improve the aesthetics of a smile that has been negatively affected by missing teeth concerns. The overall function of the teeth is improved as well with the help of dental crowns and bridges. Daily such as chewing, eating, and biting – which can be very challenging to do with decayed and/or missing teeth – are made easier once more with the help of these dental restorations. Dental crowns are cemented into place so that they fully cover the tooth, to improve both the form and function of this affected tooth. The dental crown may be used in combination with a dental implant to provide long-lasting and effective solutions to missing teeth problems. A dental bridge can be made up of one false tooth, or several false teeth, to close the space that is created when a tooth (or several teeth) is lost due to dental problems. The dental bridge is fixed securely in place by anchoring the dental restoration to the teeth that are located on either side of the gap caused by the missing teeth.